Two private and shared, or private, kitchenettes for 4 people. 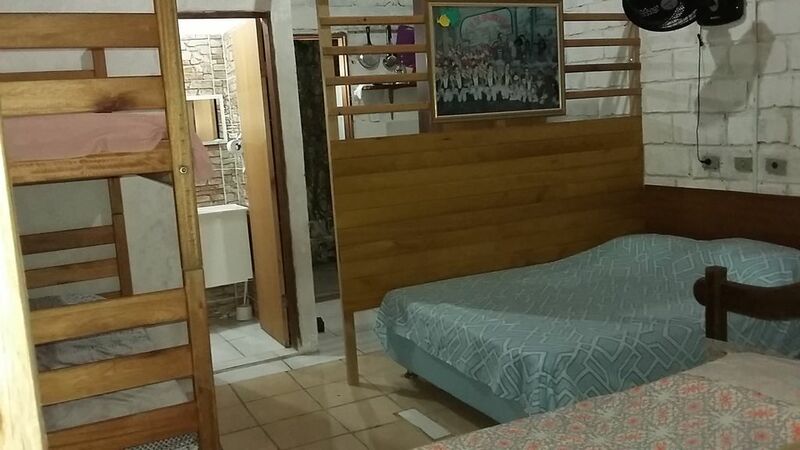 There are 3 rental apartments per season, rustic, close to nature and close to everything, with many fruit trees, birds and flowers, 300 m from Porto Seguro International Airport, yet protected from aircraft noise because the airport is in the upper part and the kitchenettes are in the lower part of town. The place is quiet, 1300 m from ALCOHOL PASSARELA, the first beach and the passage of the ferries to Arraial d'Ajuda. Quiet and flat streets for walking. Within a radius of 100 m. has good supermarkets, restaurants, snack bars, points of collective transport for all beaches and commerce in general. In addition to public transport, the city is served by Uber, car parking by application, motorcycle taxi and taxi.